Now the best and cheapest way of getting more probiotics into your life and diet is through food. Eating naturally fermented foods (no that does not include beer alas!) every day will massively help you body heal, reset and generally make it a happy place to be. If you suffer from IBS or any dot of stomach or digestive issue then this is a must. Sauerkraut– don’t knock it till you have tried it! And if you want more than follow me on pinterest as I have a whole board devoted to fermented foods. Also things like kombocha and water kefir are brilliant ways to get more probiotics into your diet – recipes on these coming to you soon! I also recommend and take probiotic supplements too as when you get good quality ones they are super effective at helping the body heal. You really want to go for quality, for as with all supplement, I think it makes a big difference. You also want ones with a variety of bacteria strains in it as we need a whole host of bacteria for optimal gut health and you tend to find this variety in the more quality supplements. Lactobacillus acidophilus. This probiotic strain is important for maintaining the integrity of your intestinal walls so you can enjoy maximum absorption of nutrients, and it supports a healthy immune system. Lactobacillus fermentum. These beneficial bacteria help neutralize some of the toxic products made during digestion and promote a healthy balance of bacteria in the gut. Lactobacillus rhamnosus. Known as the premier “travel probiotic,” this strain of beneficial bacteria has been found to be extremely effective in reducing occurrences of traveler’s diarrhea. Bifidobacteria bifidum. Both your small and large intestine need this probiotic strain for smooth, healthy digestion. It’s especially helpful for proper digestion of dairy products. Bifidobacteria longum. This beneficial bacteria strain helps to crowd out bad bacteria that cause discomfort and helps to neutralize everyday toxins in the gut. It also helps efficiently break down carbohydrates without producing excess gas. I first started taking Bio-Kult which is a good therapeutic strength option and easy to get on amazon. Easy form to take in a capsule and I recommend about 1-2 a day depending on individuals. This would be my ‘gentle’ every day recommendation . A more therapeutic probiotic that I use a lot with my one to one clients is Prescript Assist. It has 29 strains and has had a lot of research put into it and I have food it to be VERY helpful in my own recovery and with clients. VSL is another powder probiotic that doctors may recommend for IBS. I havent tried these on myself or any clients but are again a more therapeutic based probiotic and could be helpful. You mainly want to make sure you capsule probiotics has several billion of a variety of bacteria strains in order to be effective. Don’t go for ‘all in one’ supplements and that will mean the bacteria potency is less. But WARNING the stronger probiotic could make you feel uncomfortable for you or make things worse – which is why you want to work with someone when it comes to supplementation. And I would always first introduce fermented foods for a 1-2 months then introduce Prescript Assist or VSL. Last year I also got sent a liquid probiotics from a new company called Symprove to try out. I originally got sent their flavour one which I discover was full of sweeteners which upset my tummy big style but I then tried their original flavoured one and that worked fine. It tasted a bit like water kefir or kombocha so would be great alternative to those if you can’t be bothered to make it yourself or travel lots and are busy but you pay a price for it at £79 for 12 weeks. But we all now if we want to be healthy we either need to invest more time or more money into our diets/cooking. Dairy products containing bacteria are challenged by the pH levels in the GI tract. The manufacturing process for freeze-dried products also places the live bacteria under extreme conditions – something these sensitive microorganisms do not enjoy – as this alters the structure of the bacteria. As a consequence, many of the bacteria are harmed or destroyed during the manufacturing process. I do think this makes sense and there is some good research to back it up – yet I have felt the tangible difference in taking capsule based probiotics and so have my health coaching clients so the above can’t be the whole picture. Plus I also think that is why it is KEY to eat fermented food too naturally fermented food has live bacteria in it and has been in no way processed. So for me this does not rule our capsule based probiotics and I would rather just consumer some kombohca every day then swallow this stuff. Raw Apple Cider Vinegar is worth a mention here to as it is a natural prebiotic, the stuff that feeds the good probiotic bacteria and helps to promote healthy bacteria levels in the gut. So having about tbsp morning and evening in a glass of water is great to promote all round gut health. Please don’t buy these. They re filled with sugar and often other crap and often have very little bacteria in them. When you’re looking at probiotics you really want them to be delivering several billion in terms of potency and yogurt drinks are commercially made with cheap ingredient and will never live up to this. Natural organic probiotic yogurt is an ok choice but again due to it being commercially made its probiotic potency is very weak so it is best not to rely is it as your only source of good bacteria. 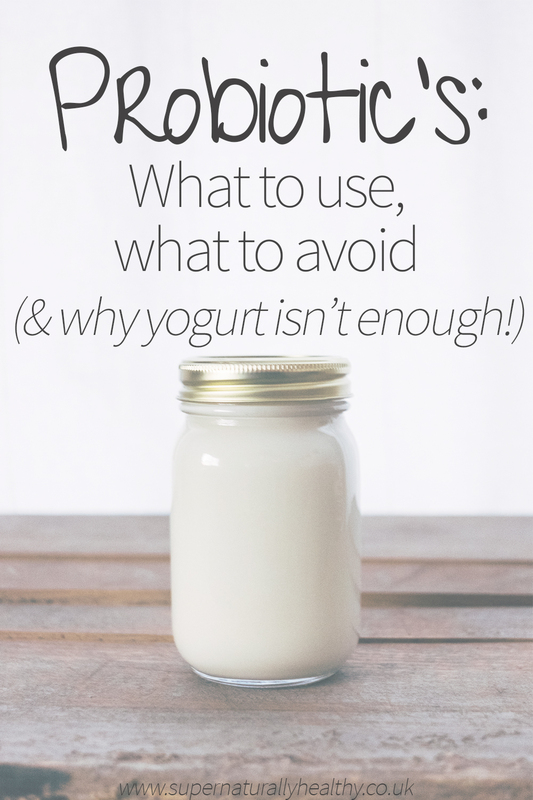 Probiotics aren’t everyone’s friend and they can cause discomfort for lots of people. 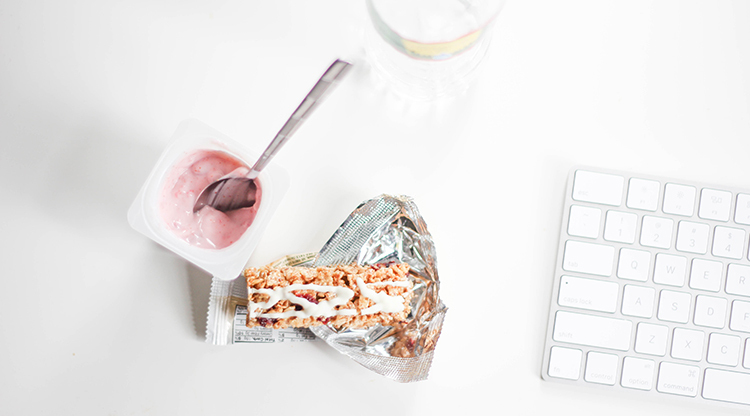 Make sure you are having probiotics every day, whether that be through food or supplements (ideally both!) good bacteria are essential for healing and health. I generally think daily fermented foods is enough and is the BEST place to start. Lots of clients I work are amazed at the difference regular probiotic makes to their bowels and bloating – plus this is not just for adults kids need probiotics too! Think kefir milkshakes or ‘ginger beer’ water kefir or kombocha. So read this post to find out more way to get probiotics into your diet and leave me a comment below telling me what your favourite forms of porticoes are and any other questions you have! I enjoyed your post! Just curious, do you make your own kefir or do you buy it? Thanks! !